My mom always tells me that I should write a book on how I get all my free things/side hustles. Maybe I will some day, but for now, I’ve made a list on the sources I use to get free stuff and some of my side hustle sources as well so you can find all in one place. Using these sources helps me bring in at least $500 a month between free product and cash. Please only request products you intend to properly review. Sites were you can earn credits in order to buy items for free or sites that you can exchange or trade items for free . Lisita : Sign up with my link and earn 1,000 credits just for joining! Want free clothes? This really works! Get credit by signing up and referring others. Facebook is a great place to find and enter sweeps and giveaways! I make great money using these! An extra $200 or more a month! Download these apps to collect info about you for research. Ibotta: https://ibotta.com/register?friend=jygmxtn Use jygmxtn and get $10! Ibotta https://ibotta.com/register?friend=jygmxtn Use jygmxtn and get $10! 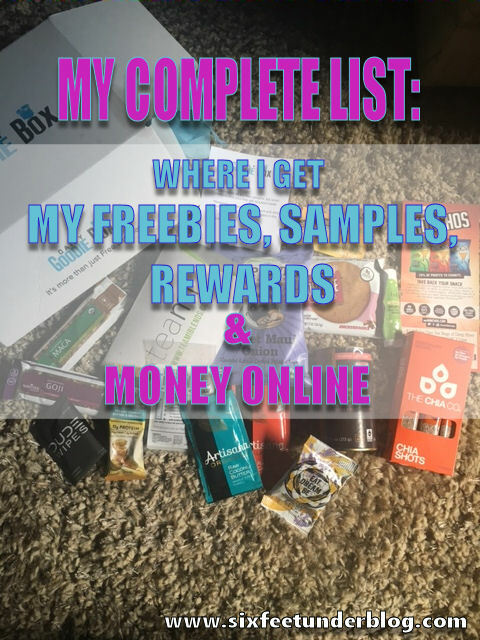 Know about a great Rewards, Survey or Freebie site that I don’t have listed? Let me know in the comments!